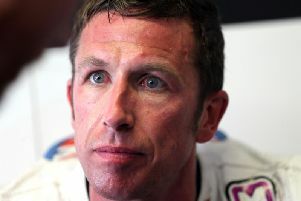 Dejected Isle of Man TT racer Steve Mercer is adamant he should be allowed to see the official report detailing his 100mph head-on collision with a course vehicle at the event in 2018. The 37-year-old, from Maidstone in Kent, was hit by the vehicle at Ballacrye after being instructed to return to the Grandstand against the racing direction on May 30. 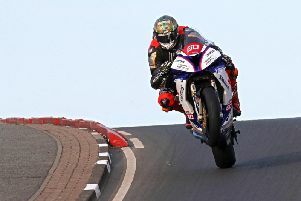 It happened after a qualifying session had been red-flagged following Manxman Dan Kneen’s fatal crash and Mercer suffered a string of critical injuries in the incident. Steve Mercer (left) pictured with his Dafabet Racing team-mate Ivan Lintin at the Isle of Man TT in 2017. Afterwards, an independent investigation was carried out by race organisers the Auto Cycle Union (ACU), headed by lawyer Rob Jones – a former chief executive of the UK Motor Sports Association. Mercer, though has been denied access to the report and says he still has ‘no idea’ what happened. “I have not seen the report,” he said. “I have not been allowed access to the report. I do believe I should be able to see it. I got on to the ACU to ask for it but nothing materialised. “I’ve no idea what happened. I’m still unaware of what actually happened and what went wrong. All I know was I was sent on a collision course. “A marshal told us to turn round and head back the other way. You do what you are instructed to do by the marshals. I'm just shocked by the whole thing. "Someone made a serious error and it could have killed us all quite easily,” Mercer said in an interview with the Isle of Man Examiner. The popular English rider is still receiving in-patient treatment in a rehabilitation centre for limb and spinal injuries and faces the possibility of losing a leg, ten months on from the crash. The ACU has said the report was a ‘privileged document for legal reasons’ and that the recommendations made by Mr Jones were being put in place where appropriate. These include the continuation of a ban on competitors travelling against the racing direction of the TT course and a review of marshal training along with additional training for members of race control. Mr Jones’ report also suggested course cars and the motorcycles of travelling marshals should be fitted with tracking devices.